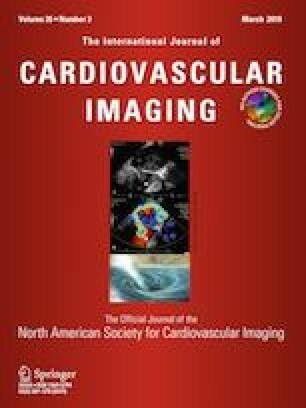 Investigate whether native-T1 mapping can assess the transmural extent of myocardial infarction (TEI) thereby differentiating viable from non-viable myocardium without the use of gadolinium-contrast in both acute and chronic myocardial infarction (aMI and cMI). Sixty patients (30 cMI > 1 year and 30 aMI day 2 STEMI) and 20 healthy-controls underwent 1.5 T CMR to assess left ventricular function (cine), native-T1 mapping (MOLLI sequence 5(3)3, motion-corrected) and the presence and TEI from late gadolinium enhancement (LGE) images. Segments with TEI > 75% was considered non-viable. Gold-standard LGE-TEI was compared with corresponding segmental native-T1. Segmental native-T1 correlated significantly with TEI (R = 0.74, p < 0.001 in cMI and R = 0.57, p < 0.001 in aMI). Native-T1 differentiated segments with no LGE (1031 ± 31 ms), LGE positive but viable (1103 ± 57 ms) and LGE positive but non-viable (1206 ± 118 ms) in cMI (p < 0.01). It also differentiated segments with no LGE (1054 ± 65 m), LGE positive but viable (1135 ± 73 ms) and LGE positive but non-viable (1168 ± 71 ms) in aMI (p < 0.01). ROC analysis demonstrated excellent accuracy of native-T1 mapping compared to LGE-TEI (AUC − 0.88, p < 0.001 in cMI, vs AUC − 0.83, p < 0.001 in aMI). Native-T1 performed better in cMI than aMI (p < 0.01). In cMI a segmental T1 threshold of 1085 ms differentiated viable from non-viable segments with a sensitivity 88% and specificity of 88% whereas a T1 of 1110 ms differentiated viable from nonviable with 79% sensitivity and 79% specificity in aMI. Native-T1 mapping correlates significantly with TEI thereby differentiating between normal, viable, and non-viable myocardium with distinctive T1 profiles in aMI and cMI. Native T1-mapping to detect MI performed better in cMI compared to aMI due to absence of myocardial oedema. Native-T1 mapping holds promise for viability assessment without the need for gadolinium-contrast agent. We thank Mr Christopher Lawton, superintendent radiographer, and his team of specialist CMR radiographers from the Bristol Heart Institute for their expertise in performing the CMR studies. AGD and CBD conceived the study design. EM & CBD coordinated and performed the MOIST trial. AGD, GP, VDB, IH, EDG, CM and IE participated in the analysis of CMR. AGD, IH, GP and CBD helped to interpret the data and draft the manuscript. All authors read and approved the final manuscript. Dr Chiara Bucciarelli-Ducci is supported by the NIHR Biomedical Research Centre at University Hospitals Bristol NHS Foundation Trust and the University of Bristol. The views expressed in this publication are those of the author(s) and not necessarily those of the NHS, the National Institute for Health Research or the Department of Health and Social Care. AGD is funded by the David Telling Charitable Trust. Dr Chiara Bucciarelli-Ducci is a consultant for CircleCVI. The other authors of the manuscript declare no conflict of interest.